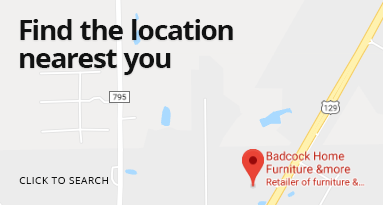 At our Badcock Home Furniture &more store in Manchester, Georgia, we provide customers with home furniture and appliances that are affordable and stylish. We believe everyone has the right to a beautifully furnished home, regardless of budget. We offer in-house financing and easy payment plans. Our store is located at 201 West Main Street Manchester, Georgia 31816. We are open Monday through Friday 9:00 a.m.-6:00 p.m. and Saturday 9:00 a.m.-4:00 p.m. For more information, call us at (706) 846-3191. Here at Badcock Home Furniture &more in Manchester, we’re celebrating over 35 years of business! We’re proud to serve the community, and we’re proud to serve you. Stop in and see us today!